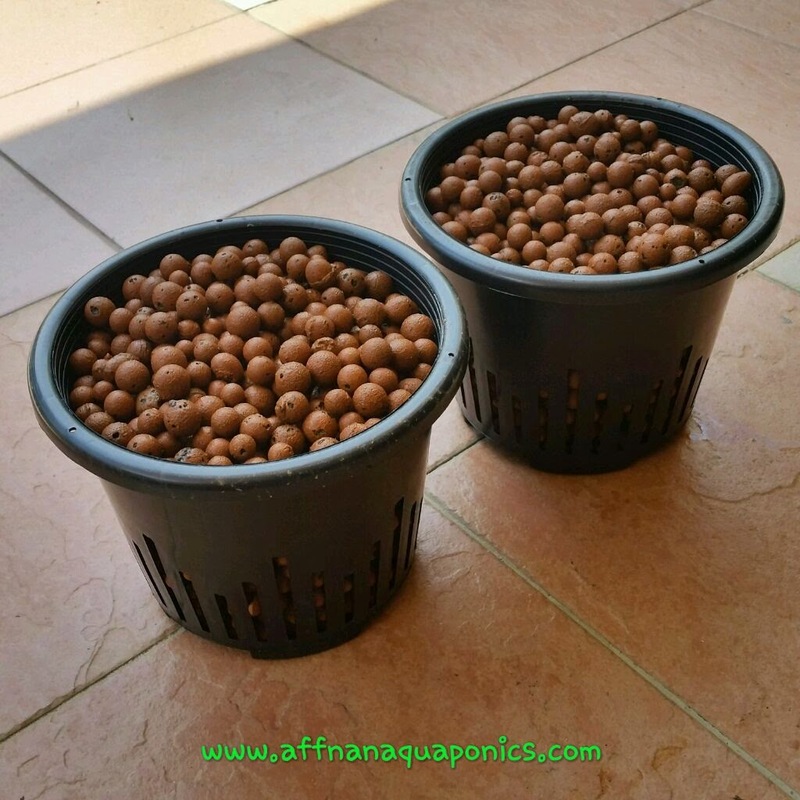 Starting to do more of this potted flood & drain style of aquaponics since it is very convenience and use less LECA. There are pros and cons for doing it this style, however for smaller plants it is ideal and could be one of the best way to do it. Slotted pots, not sure whether it is a net pot or not but its look good for what I going to use it for. 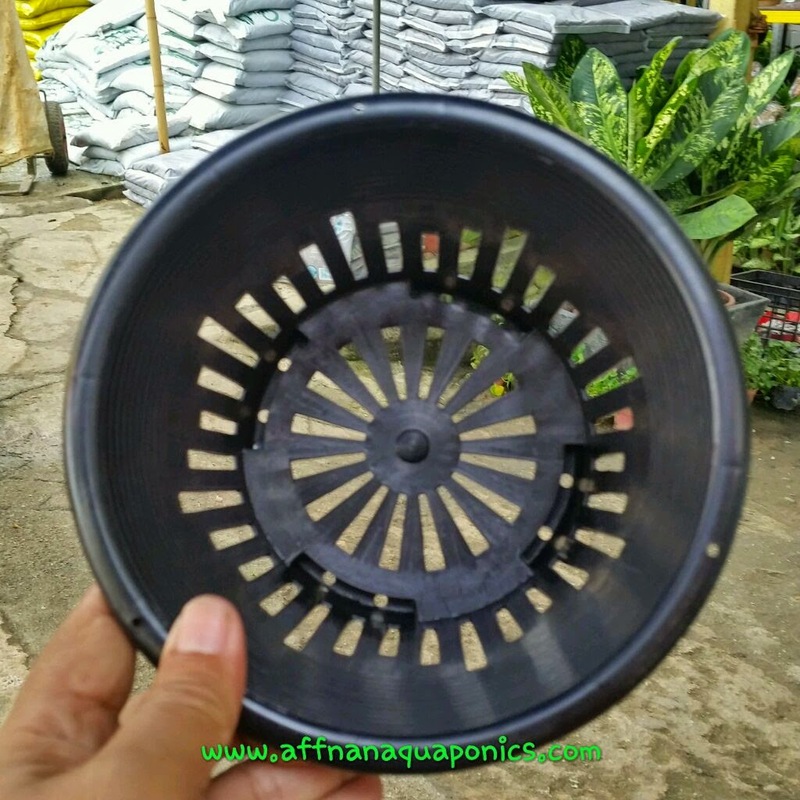 At Rm 2.50 each, they have slots that is better at draining away water and root growth. Update : Just found out that these pots is for Orchid plants, so they are Orchid Pots. Six inches across with no other sizes available from nurseries at Selangor Green Lane, for what I am doing it is sufficient. 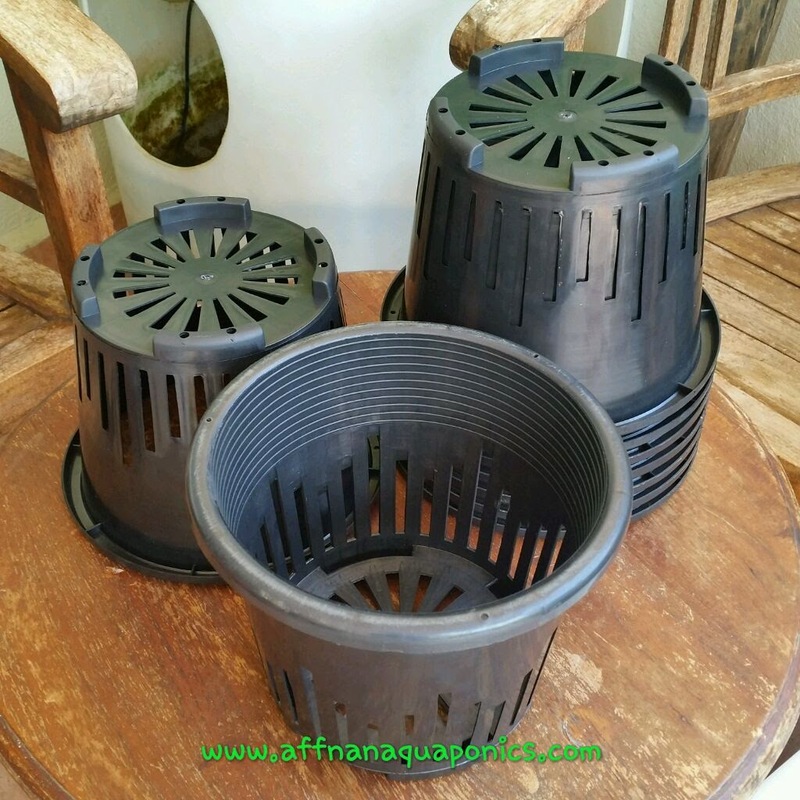 Compare to the normal plastic pots, these has more holes and it is just nice for LECA since the slots are narrow but many it will give good drainage. These are not recommended for large plants, most leafy greens is okay. 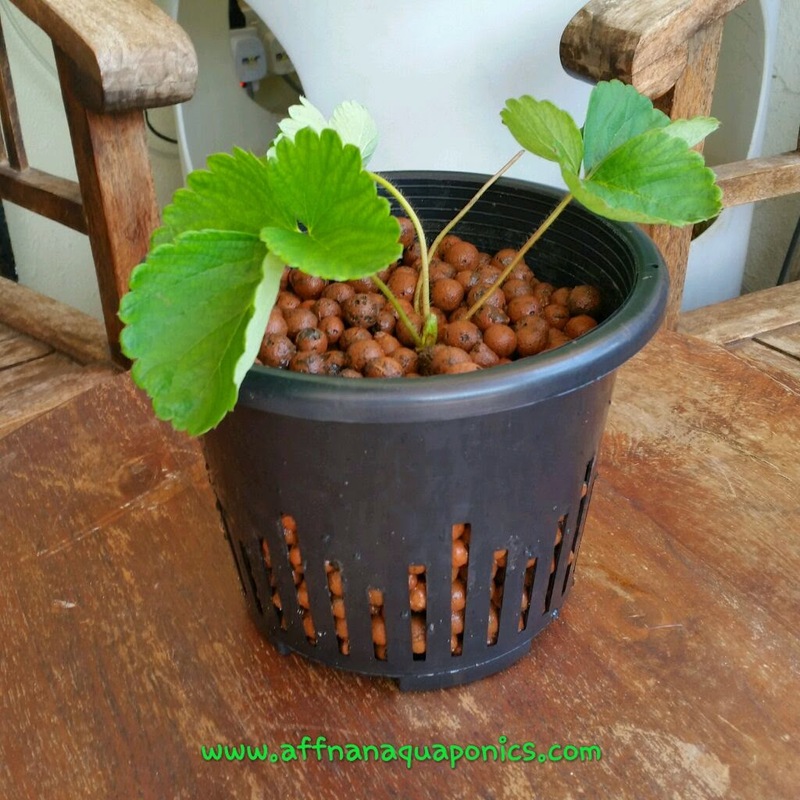 Doing one Strawberry since yesterdays almost all I had redo to pots. 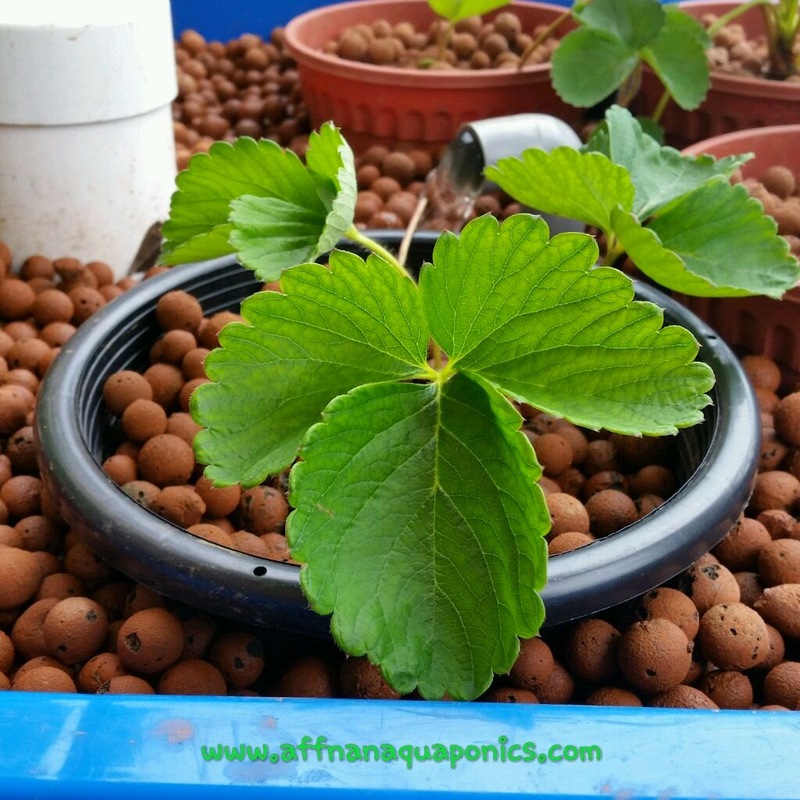 I'll use this for future potted flood & drain style aquaponics. Now just wait for these to grow. I like these. 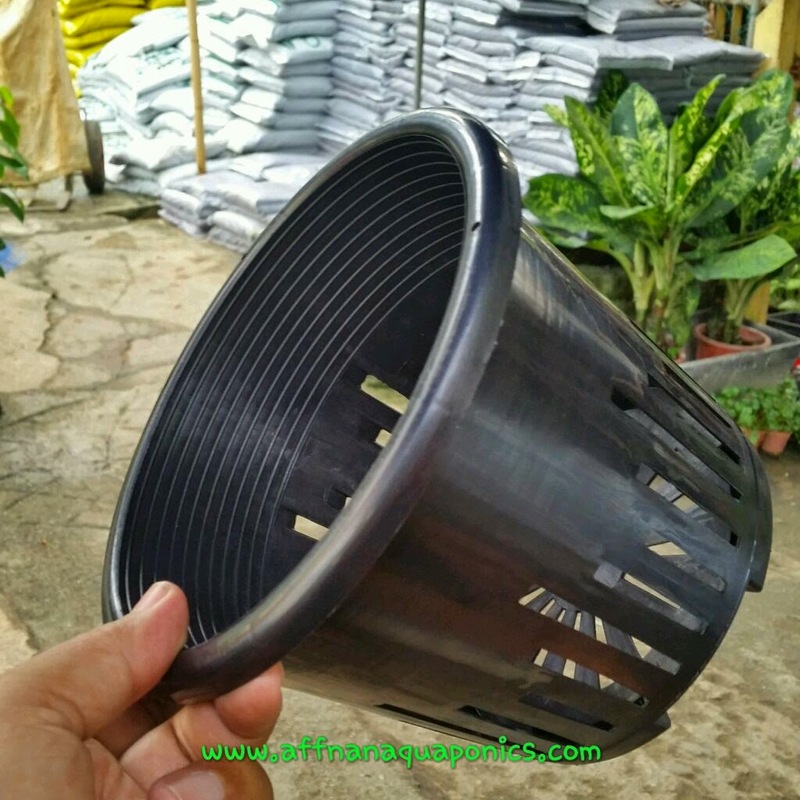 If you put insulation across your grow beds and drilled holes you could set these in the holes, reducing how much media you'd need. It would save energy too. 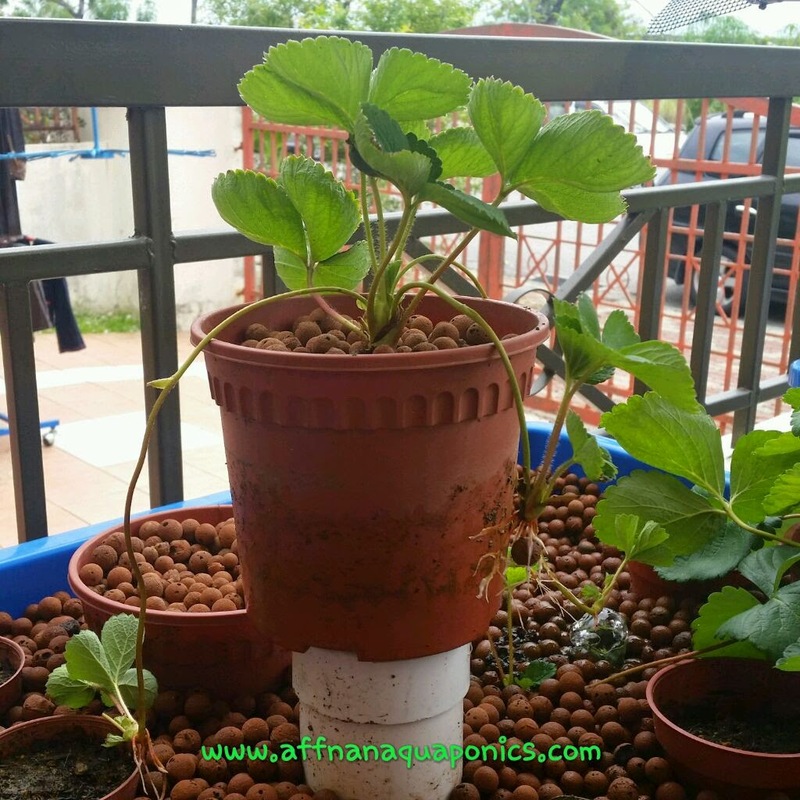 I am trying to do similar, but my place don't require insulation due to hot weather, I intent to have those pots stand in water on a flood and drain system. Di mana boleh dapatkan pasu jenis ni? 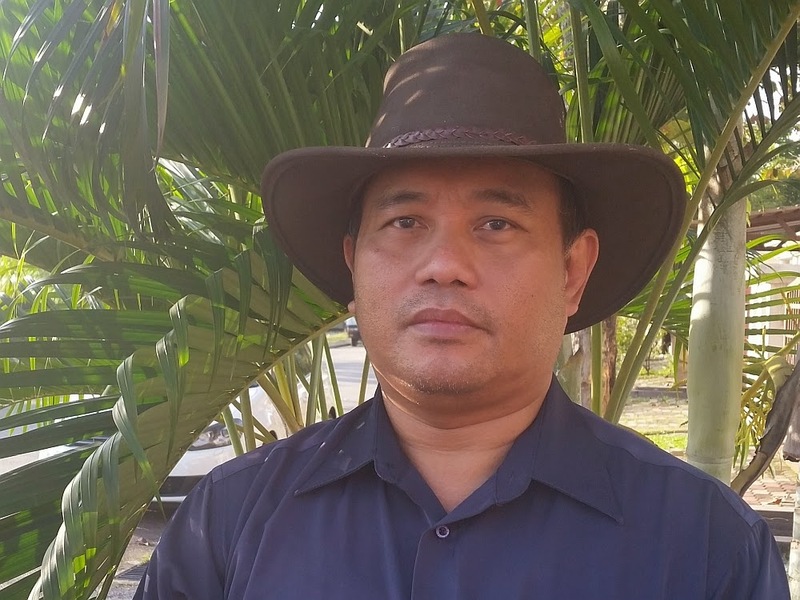 Ini pasu untuk orkid, selalu terdapat di nursery tanaman. Di Selangor Green Lane ada banyak.